The Watermark at Trinity is now offering a monthly Alzheimer’s Support Group the first Tuesday of every month at 10:30am. The facilitator of the group, Jennifer Chianella of Gulfside Hospice, has been a facilitator of support groups for years and has several training certifications on Alzheimer’s disease and related disorders through the Department of Elder Affairs. Jen grew up outside of Buffalo, New York. She graduated from the State University of New York’s College of Fredonia where she received her degree in sociology with a concentration in social work. She spent a few years working in social work, working with HUD housing as well as the Department of Children and families before pursuing a career in pharmaceutical sales. Five years ago, she came to Gulfside Hospice after taking a leave of absence from pharmaceutical sales to be her mother’s caregiver while her mother was battling colon cancer. It was at this time that Jen learned about hospice and about being a caregiver. Although Jen’s mom lost her fierce battle with cancer, Jen gained a new rewarding career. Jen now educates others about the benefits of programs that enrich and help others lives like hospice and palliative care. One thing that Jen truly believes in is being educated about programs and resources that are available. Having this knowledge allows you to be able to advocate for your loved ones. This allows you to have a goal to help others become educated and knowledgeable about resources that will help you be the best caregiver for your loved ones. As a caregiver, it is so important to have a place where you can talk with others who are in similar situations as you are. Who are walking in the same shoes that you are. Who are feeling the same loss and pain that you are. 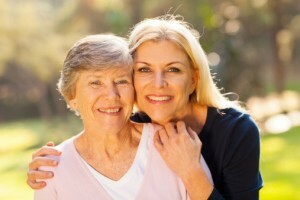 As a caregiver it is very important to also make sure that your needs are being met. A support group is a great place to start building a foundation of friendships of people who understand what you are going through. It is a safe place, a place where you can share feelings, get ideas, and just make new friends who understand the world that you are living in. Please come join Jen on the first Tuesday of each month at 10:30am. Together we will learn from one another and grow stronger as well as learn to nurture our needs as caregivers.